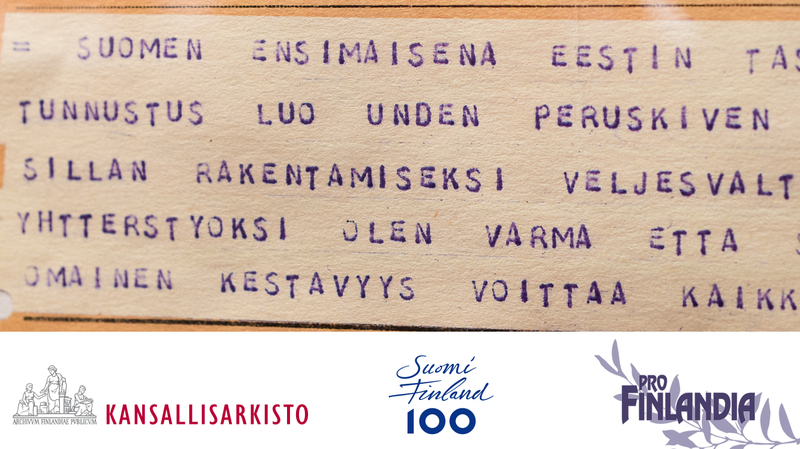 The fourth part of the National Archive’s exhibition, which describes the independence of Finland, focuses on Finland’s relations with Russia, Poland, Estonia, Latvia, and Lithuania. The exhibition gives an overview of Finland’s independence from the point of view of other countries through archival materials and historical objects. The Estonian Institute participated in the preparation of the exhibition. The free exhibition can be visited until the end of August 2018 at National Archives of Finland according to opening hours.